5542’s boiler steams and continues a Pridham’s tradition!! .... with a traditional “Pridham’s” curry. 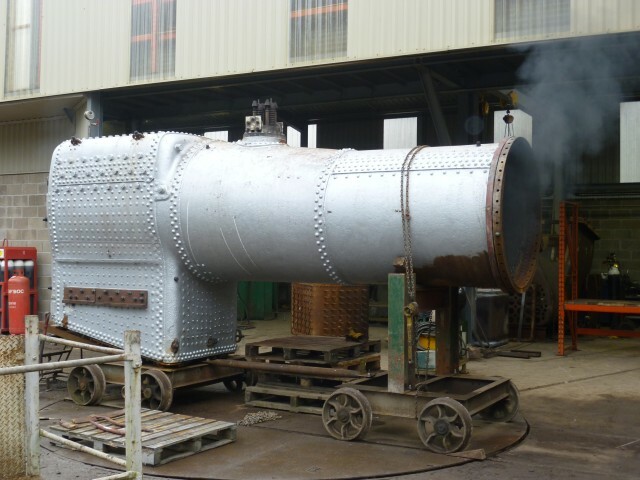 The boiler from 5542 has just passed its hydraulic test after overhaul at the South Devon Railway Engineering boiler shop. It is seen here with smoke curling out of it as it undergoes its first test steaming, and, incidentally, sitting on a specially made trolley that enables boilers to be moved in and out of the works via the small ex-Morris Cowley wagon turntable. 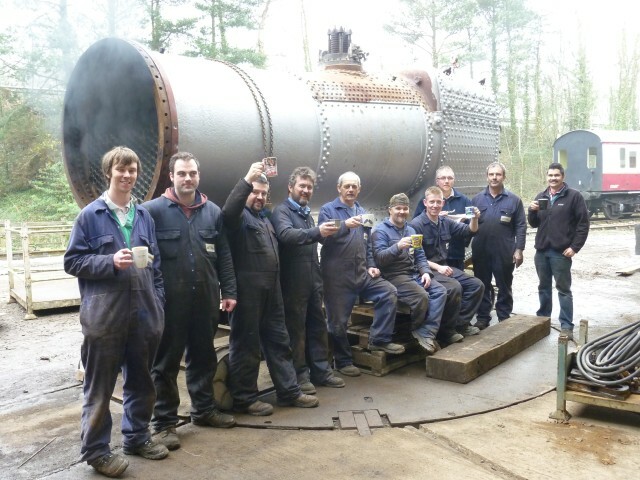 The lads from Pridham’s who joined the firm on the transfer of the business from Tavistock are continuing a tradition they built up over the years - a barbeque or curry lunch in celebration of the first steaming of a completed job! Not wanting to stand in the way of tradition the team that have helped the Pridham’s boys with the work were only too happy to step up to the plate, tuck in and continue a delicious tradition! It is planned to have the boiler back in the nearly completed frames within the next week or so with the aim of outshopping the complete locomotive by early Spring. 5542 will probably do some running in on SDR services before going off on hire in early June. The engine is owned by 5542 Ltd.
With the recent failure of sister engine 5526 after eight years sterling service it is hoped 5542 will return to SDR metals prior to taking up its contract at the Gloucestershire/Warwickshire Railway. (Please Note the South Devon Railway is not responsible for any damage that may occur by downloading or using third party software).